The Brain is an extremely important organ of the body that is considered the control center of the Nervous System. Without this essential organ, or even some portions of the brain – we could not survive. 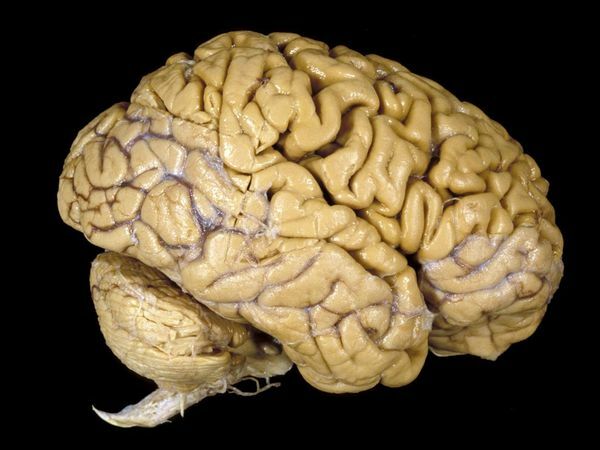 By far, the brain is the most complex organ of the body. This complex system that has over 100 billion Neurons connected to each other for pinpoint changes, alterations, detections, reactions, and more. The billions of neurons are then connected through synapses to thousands of other neurons throughout the body. Electric stimulation is the basis of neural control that is done by several neurotransmitters such as dopamine, seratonin and others. Hormones are thus produced and often dependent in memory and stimuli as part of the many functions. The brain is found in all vertebrates and in nearly all invertebrates. – Different species of animals have a wide variety of shapes and sizes when it comes to the brain. – Interior of the brain: Consists of an area called Grey Matter, which is darker. – White Matter separates the area of the grey matter. – Glial cells have many different types and functions. – Neurons are the most important cells of the brain. – Contains and functions for both sensory and motor functions. – Contains nuclei to allow for sensory and motor function. – Smaller region found in the forebrain. – It small but important and complex. – Helps regulate sleep and wake cycles. – Also controls equilibrium, eye movement, facial expressions, and posture. – Many small nuclei that controls communication from one side (hemisphere) of the brain to the other. – Also controls eating, drinking, defecation, copulation. – Regulates or controls the output of other systems inside the brain to make sure precise control is found. – Helps consolidate short term memory into long term memory. – Some aspect of inhibition. – Reward and Punishment can affect this area of the brain. – This can dominate the brain. – This barrier that allows only blood, oxygen and specific enzymes to pass to the brain. – It protects against many toxins. – Blood flow is extremely vital. – Circulates in the meninges, the connective tissue that surrounds the brain. – It acts to buoy and helps as a shock absorber. – Input is taken in from the senses and incorporates it into a recognizable process. – Sensory input includes: vision, touch, auditory, taste, and smell. – Signals are received through the nervous system in control and as a responsive to stimuli. – The brain, cortex, Cerebellum and ganglia largely control movement. – The control of movement is passed through the brain into the Spinal Column and back to the specific area of movement. – Fine muscular control is therefore largely dependent on a specific brain activity control. – Behavior and Memory is associated with brain mechanics and neuron control. – Much of our understanding is somewhat limited. – However mental performance and behavior control can be assessed with neurological science.